Deciding to become a puppy parent and puppy walk for Canine Partners is an important decision, not to be made lightly. To make that decision sensibly, we have gathered some of the most frequently asked questions that people have before applying to be a puppy walker. If your question is not listed below, do not hesitate to get in touch using the contact form at the bottom of this page. 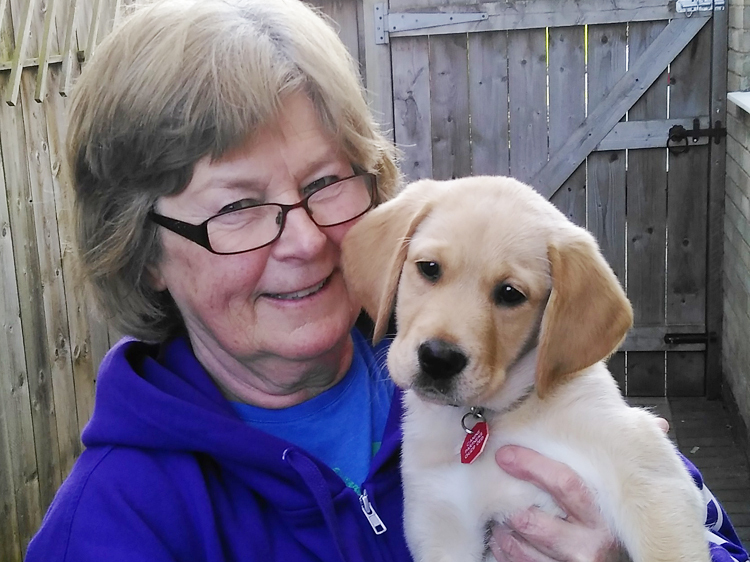 A puppy walker, or puppy parent is a crucial voluntary role required in the early education and socialising process of a Canine Partners puppy. 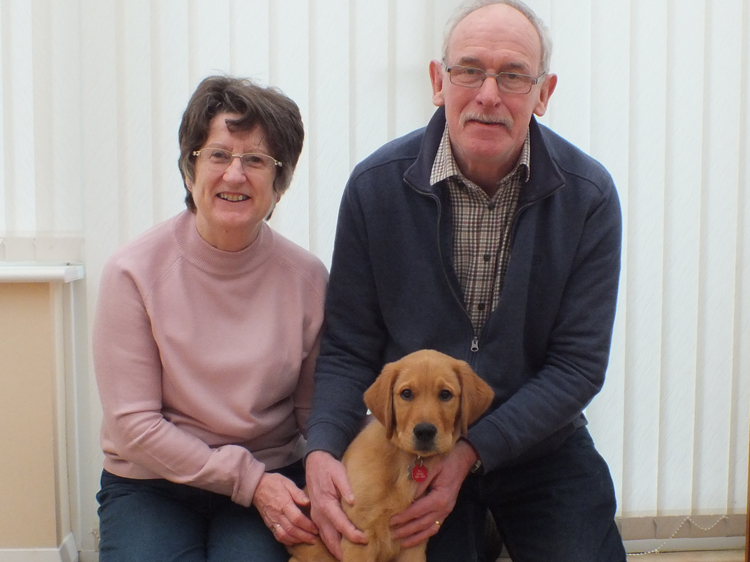 The end goal for our puppy parents is to produce a puppy that has been socialised successfully, behaves well and is friendly and responsive to their handler. It is also key that the puppy is comfortable in all environments that they would be likely to visit with their future partner, and walks well on a lead. What does puppy walking involve? Puppy walking as a puppy parent involves basic training with the puppy, and introducing it to new environments including different forms of public transport as well as towns and cities. Do I need to have experience in puppy training? Previous experience with dogs is a bonus, but not compulsory. Our expert team are on hand to support you with advice and guidance. How long will I have the puppy for? You will have the puppy from 8 weeks old until 12-14 months old. 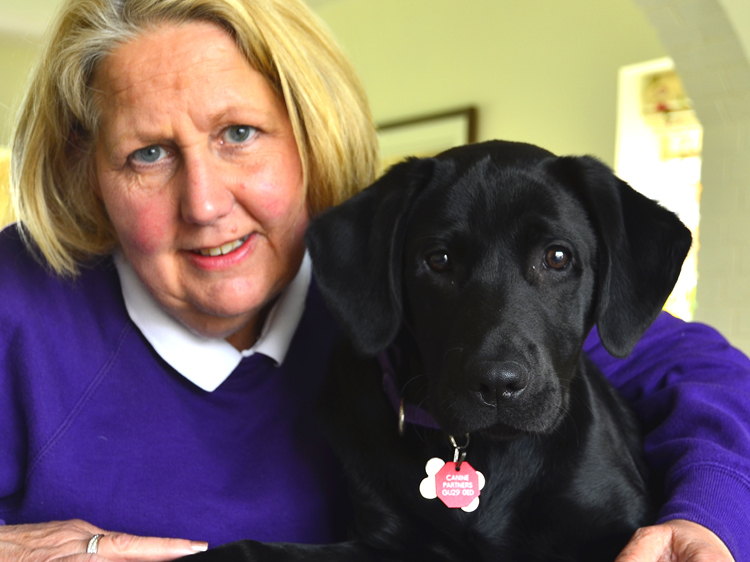 Can I work part time and puppy walk for Canine Partners? You must have the appropriate time to be able to train and socialise the puppy, more details of which will be provided to you upon application. The puppy cannot be left for longer than three hours in one period. Can I take my puppy to work with me? This will depend on your working environment and also on the puppy itself. Our expert team will need to ensure that the puppy will be comfortable and safe, and that their training will not be affected. Will my puppy live with me? Yes, the puppy will live with you. If you are due to go away on holiday or there are any other reasons why you may not be able to care for the puppy for a fixed time, we will arrange a temporary fosterer to care for it. How much will it cost me to have a Canine Partners puppy? Canine Partners will cover the cost of food and vet bills for the puppy. You will be required to cover costs of any grooming equipment, toys and transport. Can I puppy walk if I have young children? Many of our puppy parents have young children or grandchildren, so this shouldn’t be an issue. We will need to assess this on a case by case basis. Can I have a pet dog and puppy walk? Yes. However, the temperament of your dog will be assessed one of our trainers. The puppy will need to be fed and walked separately to your pet dog to maintain its training successfully. Are Canine Partners puppies allowed to be let off the lead to free run? Once the puppy is old enough to be allowed off lead and has an effective recall, then this is encouraged 3 – 4 days a week. Is it difficult to give the puppy up? All of our puppy parents would say that it is tough to give up the puppy at the end of its initial training, but they also agree that it is worthwhile when they remember what that puppy will go on to do. Will I see my puppy once it leaves for formal training? Once the puppy has entered formal training, you will receive an update on when it has passed its training, and when it has been partnered. It is then up to the partner to decide whether to maintain contact. How much does it cost to train a Canine Partners puppy? From puppy selection, through to training, the partnership and aftercare, the cost is £20,000. What happens to my puppy if it fails? This will depend on the circumstance, but generally the puppy will be rehomed to someone on our rehoming waiting list. As the puppy parent you are welcome to express an interest in rehoming the puppy but this will be judged on a case by case basis. The puppy’s needs and welfare will be paramount to the final decision for rehoming. Get in touch with our Puppy Department who will be happy to help.